68 pieces have been made. At first I thought of a conspiracy: Juniper Ridge went underground (with its scents). Barnaby Black showed up. Was this the unofficial sequel, perhaps better placed for marketing reasons? On the other hand, the advertising style of both brands is quasi-identical. 100% nature in full broadside, inlaid, steamed, chopped. Lumberjack shirt instead of evening dress. Right at the start: Even after testing all the brands, I can't say for sure. They are really very similar, in smell and in spirit. Deep Slumber Mountain is my favourite out of the line. Why? The strength of these "sauna nature" perfumes is sometimes also their weakness. Pure nature can be quite exhausting. I like these scents, even if they often end up in the room scent category with other perfumes (understandably). But especially in the coniferous forest scents you can usually find such a dry, sharp note, which is a permanent problem for me. This includes some Barnabys and the JRs also almost all. DSM, on the other hand, is taking a good turn. In the beginning, I think of the fresh, camphor-like and then dry-sharp appearance of the additional pine. Slightly resinous in the background. But there I find the counterpart to the green antagonist, a slightly sticky sweetness that remains constant behind, while the coniferous forest retreats in the course of the day. Especially in the base this is pleasant and fragrant. Radiation is intense in the first moments, but then quickly falls to close to the skin. It's okay. They don't want to fill the divided office with this anyway. Durability is with approx. 8h for me also in order. I don't want to give highest marks to DSM, because it is a situational fragrance and also more than perfume. Nevertheless he manages the difficult balancing act between portable and "beautiful in space". If I were to get one of the Barnabys, it would be this one. Nature in the bottle. The scent of'Deep Slumber Mountains' does not slumber in the front, it is almost sedated. It's essentially limited to... No, I'll start differently: If I were the editor of the authoritative standard work on rubbing brandy and had the intention of adding a smelling material to the new edition, today's candidate would be best suited in his first hours to cover an astonishing number of conceivable manifestations. The beginning, however, is by no means monotonous. Practically everything is there right from the start, only the parts by weight shift a little: the resinous camphor-like parts, including the sweaty appeal. A needle-like bitter-green mixture. Juicy, like a broth of freshly rubbed, soft needles. Only one trace of sweetness already points the way out of the rub-in centre anthology. After two or three hours, the scent is much more balsamic and nutty. A creamy sweetness has developed, which nevertheless does not deny its needle-like roots and from which gradually warm, spicy smoke emerges. It remains an accessory. The second spring of needlework is more worth mentioning. After three hours it comes through again and combines bitter green with a swab of almost lemony freshness - as an unusual addition to the creamy base structure. But already at noon the scent recedes quickly and is by far the most fleeting Barnaby out of my 6-sample pack (many thanks to Yatagan!). He is also the most tender plant among his siblings when it comes to radiation. 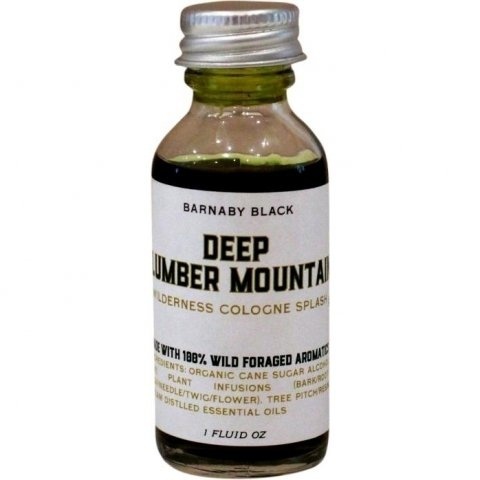 Conclusion 1 - in front: I should not be surprised if'Deep Slumber Mountains' (not least because of its natural scent) was suitable for rubbing aching joints. However, that would be a price-wise quite exclusive pleasure. Conclusion 2 - behind: Cream scent once completely, completely differently. Who is tired of the eternal sun cream or the permanent musk, but likes it creamy, try this one. Write the first Review for Deep Slumber Mountain!